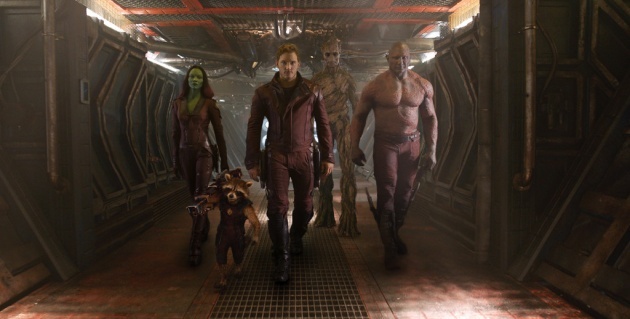 Marvel has just released the first trailer for its much anticipated movie "Guardians of The Galaxy". This is a new path or comic book story arc that Marvel seeks to explore since almost every cinematic project it has produced in the past couple of years has been a success. This movie is set in the far reaches of space, where an American pilot named Peter Quill finds himself the object of a manhunt after stealing an orb coveted by the villainous Ronan. From what I have seen in the trailer its still not clear whether this will be a hit or a miss for Marvel, the trailer is a bit too light and comedic for my taste but we will have to wait and see how this movie will turn out. "Guardians of The Galaxy" stars Chris Pratt, Bradley Cooper, Vin Diesel, Zoe Saldana, Lee Pace, Karen Gillan, and Benicio Del Toro. It is set for August 1st 2014.